NEWARK…As a young man, Ras J. Baraka decided to become a teacher and work with Newark’s youth to help them find their way to a better future, according to John Abeigon, Newark Teachers Union President. “As an activist, Ras naturally became involved with the union and really extended his love for students from the classroom to the surrounding communities, becoming involved in anti-violence work which continues to this day,” said Abeigon. Baraka helped bring the teachers’ union and community groups together to advocate for a return to local control for the school system and bring the process through to fruition as mayor, according to Abeigon. “As we return to local control of the schools for the first time in more than two decades, we are proud to endorse an educator who is ‘one of our own’ for mayor,” said Abeigon. In addition to NTU educators and HPAE healthcare workers, the American Federation of Teachers represents many other education workers in Newark. Faculty and staff at Rutgers University, adjunct faculty, graduate workers, postdocs and researchers at NJIT, and adjunct faculty at Essex County College are all AFT members, according to AFTNJ President Donna M. Chiera. 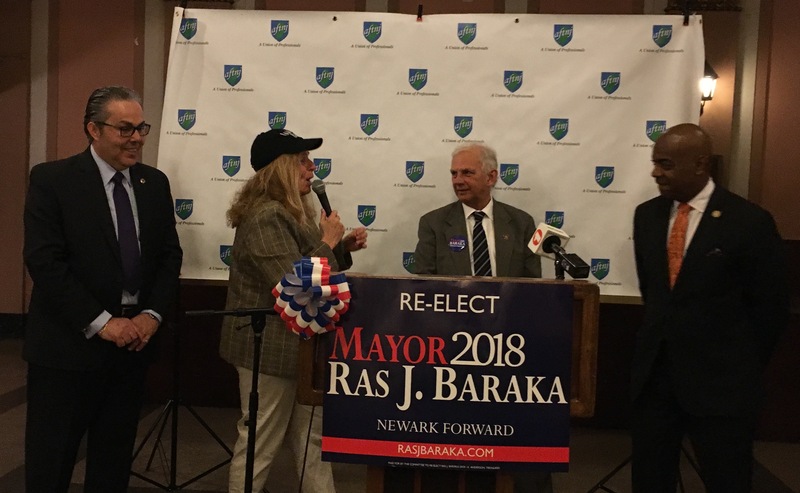 “We were proud to work on getting out the labor and community vote for Mayor Baraka’s first election and glad to see the growth in Newark accompanied by an emphasis on making sure that growth benefits working families throughout the city,” Chiera said. For more about AFTNJ, see www.aftnj.org. For more about the Newark Teachers Union, see http://newark.nj.aft.org. For more about HPAE, see www.hpae.org. 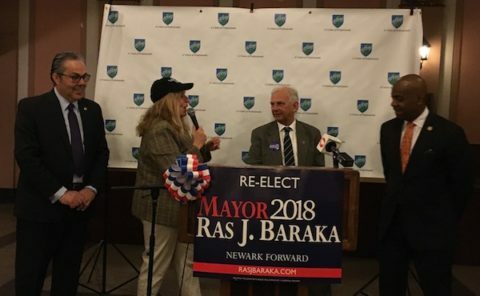 For more about Mayor Baraka, see http://rasjbaraka.com .